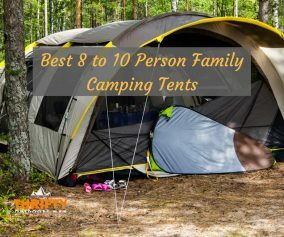 As a parent of two small children, camping can be difficult and chaotic. Over time we have adapted to what works and what doesn’t, like tossing out useless ideas like trying to hold any type of set schedule or sleeping in. 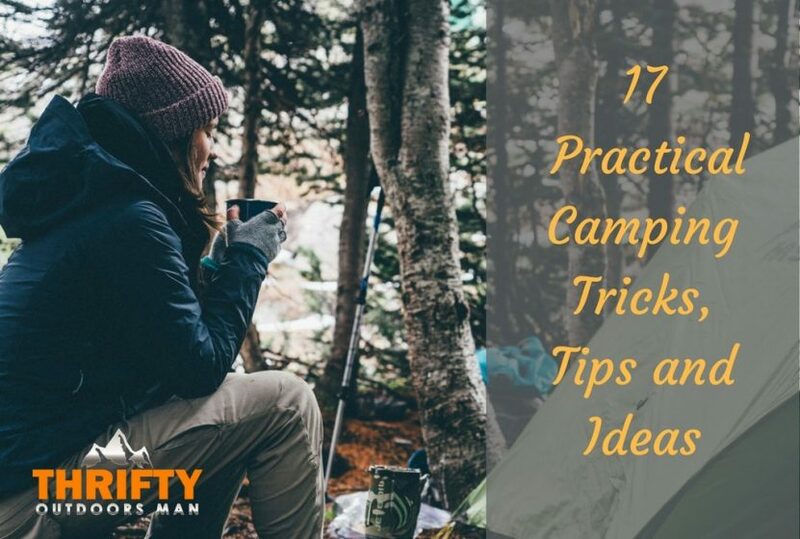 What we have picked up are 17 super practical camping tricks, tips and ideas that we are going to share with you today. 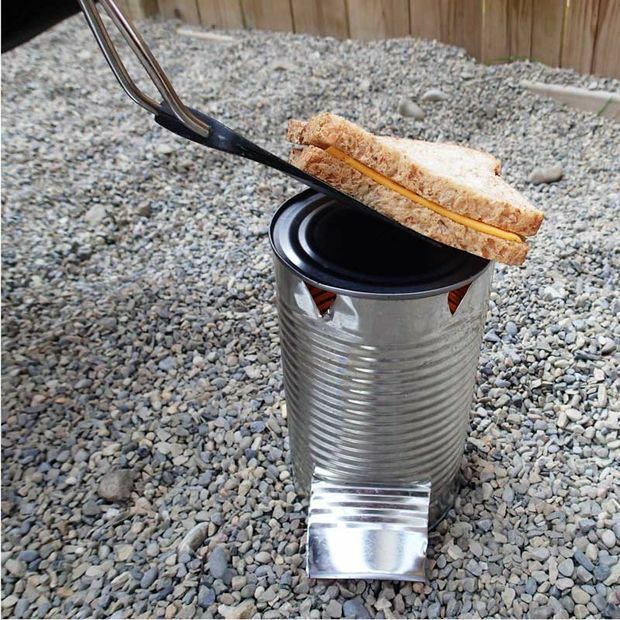 If you have ever found yourself out camping and you forgot your stove or there was a huge rainstorm preventing you from making a proper fire to use as your cooking source, then a DIY camping tin can grill may be just what you need. It’s also a great budget option if you don’t want to purchase a stove. There are several ways to make one. 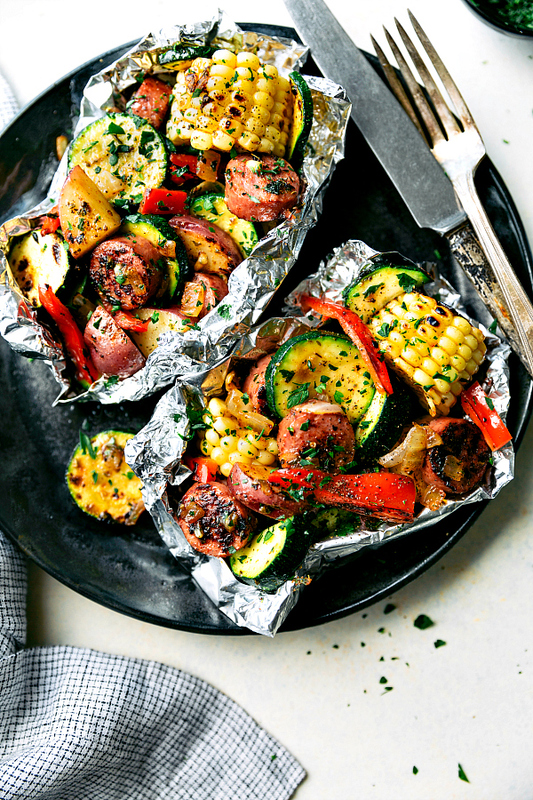 This style of tin can grill uses minimal supplies and you can cook right on top of the can! I would consider this can an emergency survival type of grill because you won’t be able to cook a massive meal on it, but it is lightweight and compact enough to just toss into a pack. 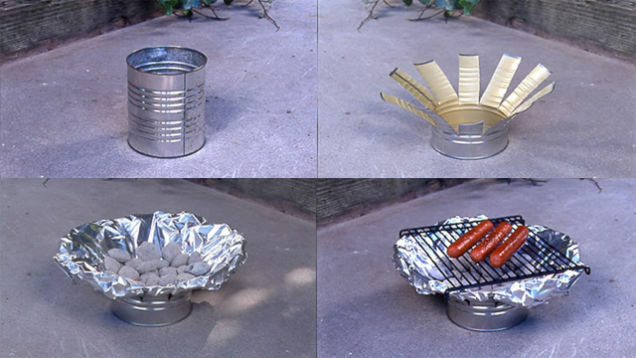 This tin can grill option from lifehacker is still very simple, but allows you to add a cooling rack on top so that you can cook a larger quantity of food. Both options are a win-win for a cheap and effective way to cook food while out in the wilderness. Are mosquito bites putting a damper on your camping adventures? Mosquitos aren’t just pests, they carry dangerous and sometimes deadly diseases. 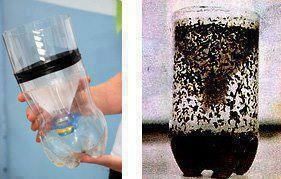 A homemade mosquito trap may be just what you need to deter them towards the trap rather than towards your blood. A version of this mosquito killing ovitrap has been used by the military, but without the use of poisons or pesticides. The stagnant water in the trap is irresistible to mosquitos, like an outdoor sale to camping enthusiasts. 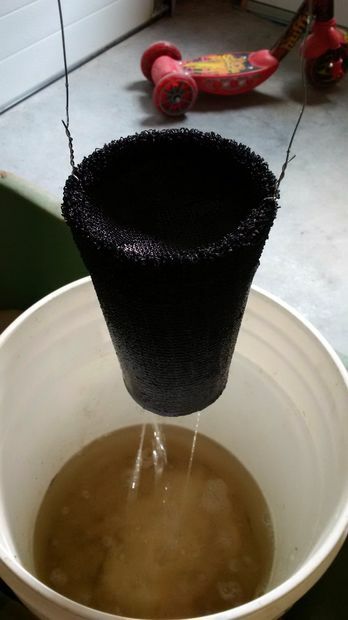 Here is a smaller, more portable version of a homemade mosquito trap. The idea behind this trap is for the mosquitos to become attracted to the carbon dioxide released by the yeast, and then they become trapped inside the bottle. The homemade mosquito trap is perfect around your campsite, but if you plan to wander away from the site, a safe non-toxic mosquito spray is a great choice. I like to get a little amber-colored spray bottle, add in a few tablespoons of a carrier like aloe water, jojoba oil, coconut oil, or witch hazel and then add in some lemon eucalyptus oil, lavender oil, and tea tree oil. Nobody likes to find uninvited, eight-legged guests lurking inside your sleeping bag. We also don’t like sharing our food and snacks with the campground ants. Ants and spiders are typically harmless, but some of them can pack a pretty painful bite. We always have children with us when camping, so finding a spider and ant repellent that is safe around kids was essential. 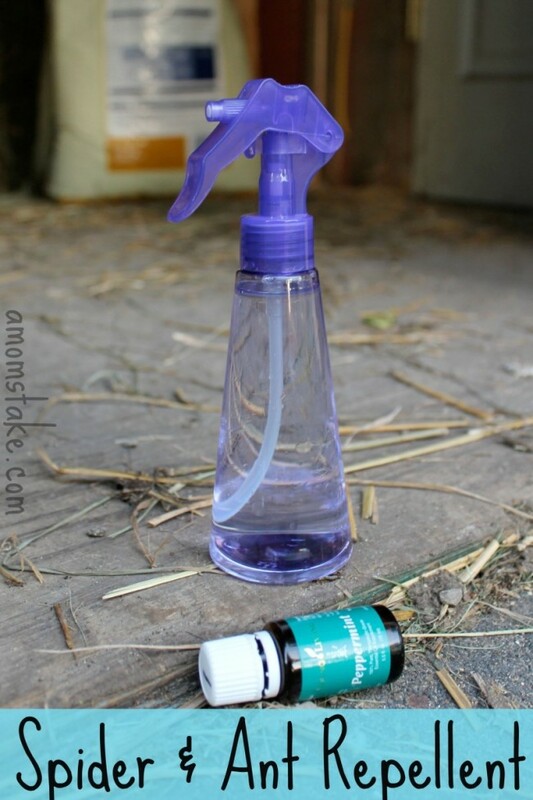 What we have found to be the best DIY ant and spider repellant is a simple homemade concoction. 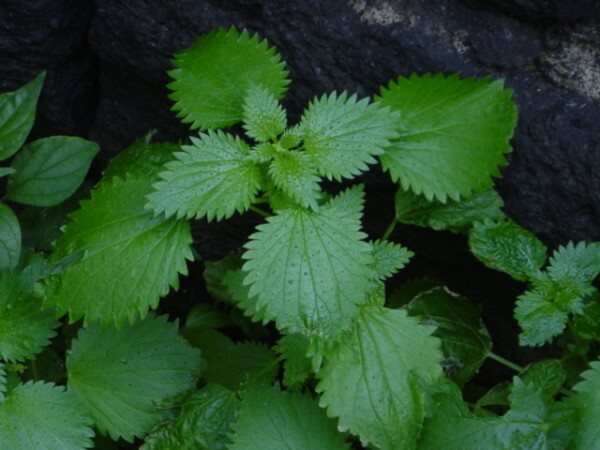 Peppermint oil is a natural repellant, among other things, like aiding in digestion, which can be beneficial while on a camping trip after devouring too many s’mores. I’ve often heard the excuse of “I can’t afford to go camping” from acquaintances when asked if they enjoyed camping. Camping can be one of the most affordable vacations that you take! Cheap and affordable campsites are easy to find. Sometimes you can even find a free site. Lodging that costs zero to $50 or $60 is a lot cheaper than a hotel at the same destination. Make all of your meals. By doing so, you are saving on what you would spend eating out. Instead of buying disposable plates, bowls, napkins, and utensils, bring reusable items from home. A lot of campsites have a place where you can wash these items, and if not, you can pack them up and wash them when you get home. Cover your wood bundles with a tarp so they don’t get washed out in a surprise shower. Wood isn’t cheap, so protecting your resources can save you money in the end. Explore the free recreation surrounding your campsite. When booking a campsite, look for fun and free activities like hiking trails, water sources to play in, playgrounds, beach campgrounds, volleyball courts, etc. Buy used equipment and multi-purpose items. You can save a lot of money (and also acquire some awesome gear) by looking for used, high-quality items. You can find used gear on Craigslist or at your local outdoor shops. Choose a park close by. You will save money on gas by choosing a campsite that is 20 miles away rather than 200 miles away. Do you require caffeine when you wake up to ensure that you will be a contributing, and functioning human being for the rest of the day? You don’t have to sacrifice your cup of Joe just because you are roughing it in the great outdoors. With some of these coffee brewing ideas you will be doing the exact opposite of roughing it. 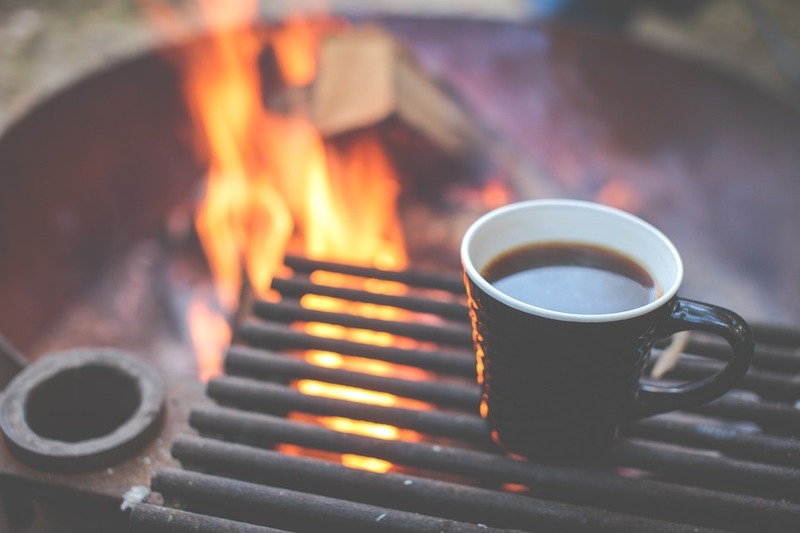 There are tons of ways to brew coffee in the great outdoors. 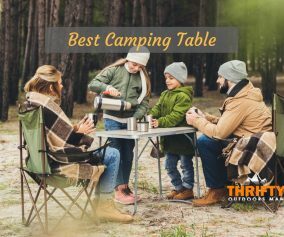 If you are hybrid camping and staying in an RV, you can still use your beautiful coffee maker from home. There is this super cool and kickstarter back little guy, the Kuju PourOver. It only makes a single serving, but it looks awesome! You can also use a french press, reusable coffee filters (lightweight! ), or an aeropress for your espresso fix. Whatever you choose to make coffee while camping, never fear, the options are limitless! and that you were allergic to it. 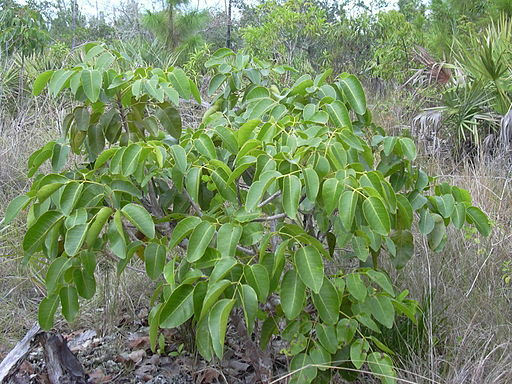 but it takes a lot less time to learn about the plants that are poisonous. 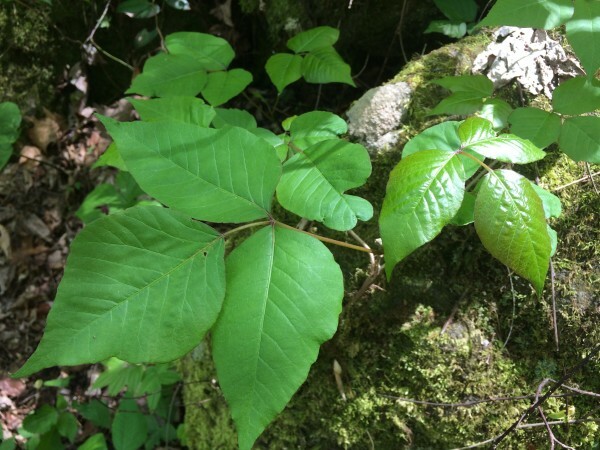 And even less time to narrow it down to the types of poisonous plants in the area that you plan to camp. 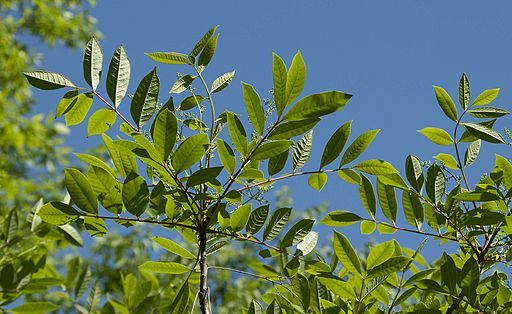 Here are the most common poisonous plants and how to identify them. 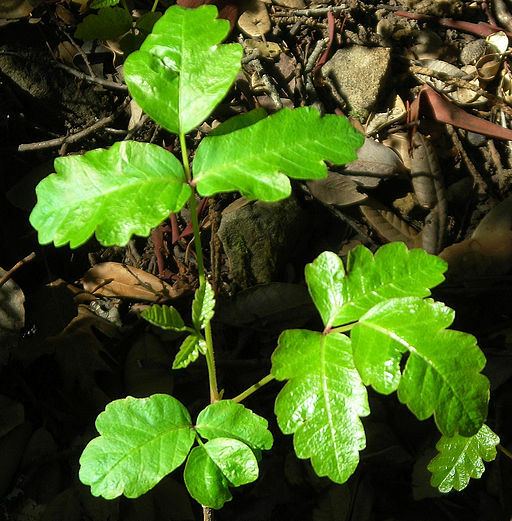 You can find some other helpful camping tips from the US Forest Service here. You spend a good amount of time getting your tent and campsite set up and realize that there is a large hole in your air mattress, and one of the cords that holds down the rainfly has torn off. Bringing a small supply of repair gear can make or break a camping trip gone awry. 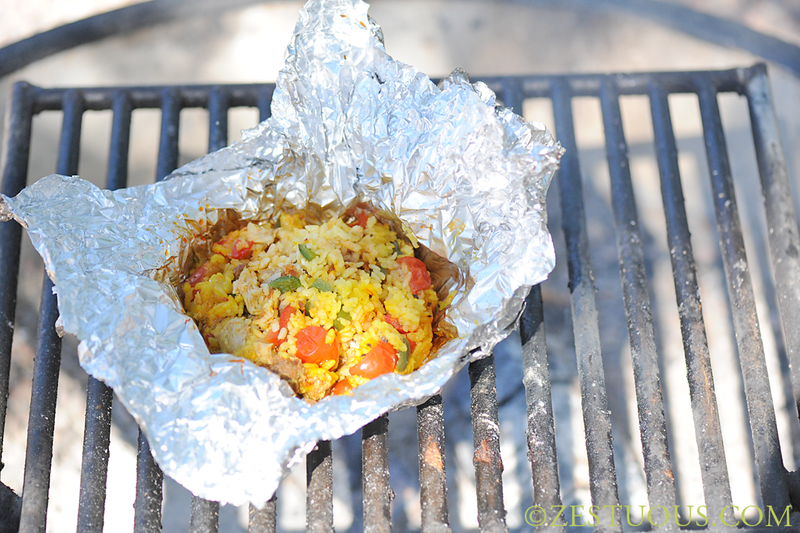 Planning your meals for camping is a must if you want to avoid scrambling around at the last minute, eating chip crumbs out of the bottom of the bag for your replacement dinner. Meal planning is simple, it just takes a little bit of effort. 1) Write out each day that you plan to camp. 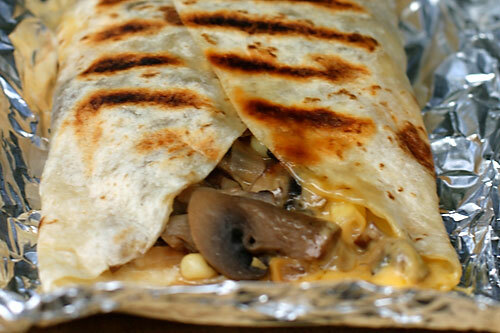 2) Write down the name of the recipe that you want to eat for each meal, as well as snacks and drinks. 3) Make a food list of all the items needed to make each dish. 4) Scrounge around your own kitchen first, grabbing things like mustard, mayo, and ketchup.​ Then make a shopping list to get the rest of the items. 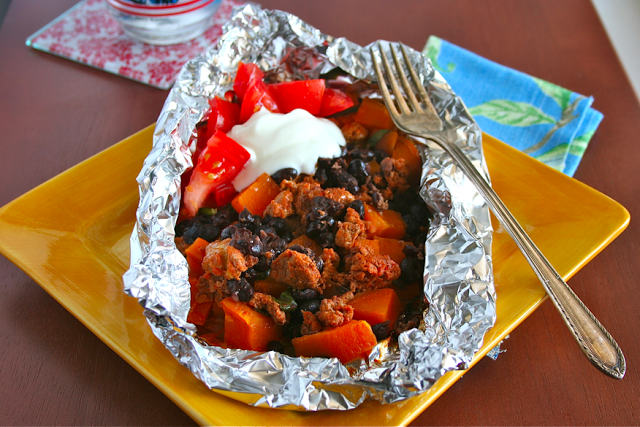 Planning your meals allows for a much less stressful and more successful camping trip! 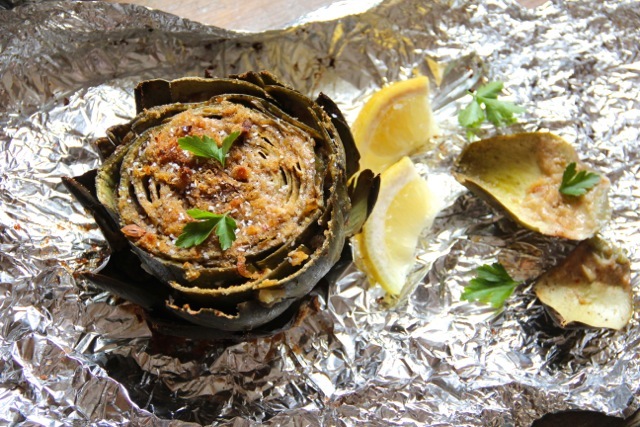 Here is a sample 5 day camping menu plan that is simple and tasty. It’s a difficult task narrowing down your camping checklist to just the essentials. Our last camping trip was like organizing a giant puzzle piece of equipment into our vehicle. Tent (or whatever you intend to sleep in) along with the equipment needed to set it up. Bedding – sleeping bags, air mattress, pump, mattress repair kit, pillow, sheets, etc. 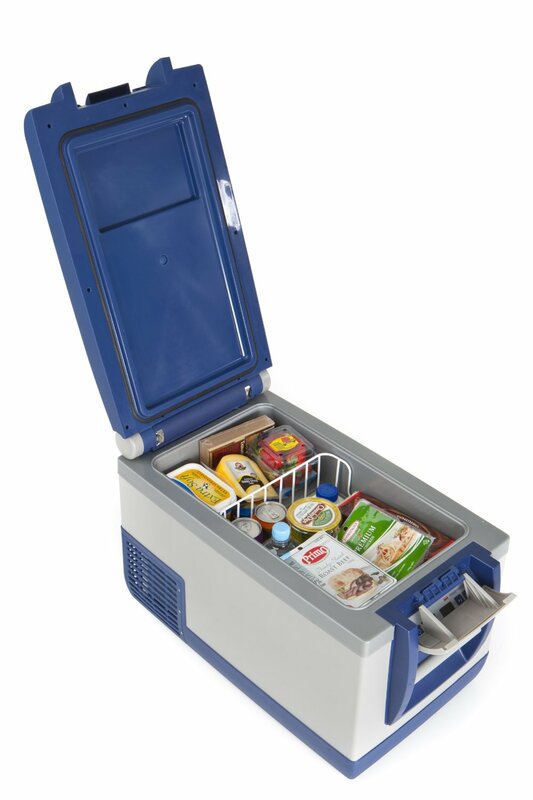 Cooking supplies – cooler with ice for your cold items, utensils, charcoal/firewood, pots and pans (I really like cast iron because it can withstand the heat), heavy-duty aluminum foil, skewers, ziplock bags, napkins or towels, all of your food supplies, seasonings, can openers, and trash bags. 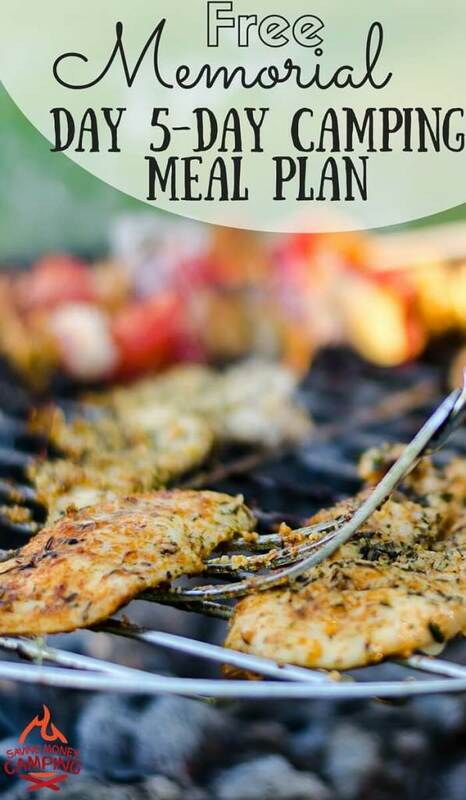 The list here could get out of hand quickly, so start with the exact items that you need to cook the food on your meal plan. Clothes – Laundry bag, weather appropriate clothing, rain gear, hats, proper shoes, swim suit, etc. We camped out on the beach this summer in the Pacific Northwest. The weather was warm during the day, but as night fell, we were really glad that we packed warmer clothes since a surprise storm rolled in and the temperatures dropped dramatically. Personal supplies – toothbrush/toothpaste, sunscreen, chap-stick, toiletries for a shower, feminine products, deodorant, any medications, and shower shoes. Miscellaneous items – first aid kit, bug repellent, extra batteries, water purification options, maps, light sources like a lantern, pocket knife, etc. 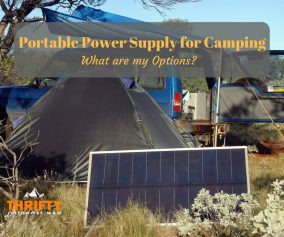 For a more extensive list of potential necessities, h﻿﻿er﻿﻿e is a great checklist, although it is more inclusive for a longer term camping trip. All of those items wouldn’t be necessary for a weekend trip unless it was going to be very rigorous. 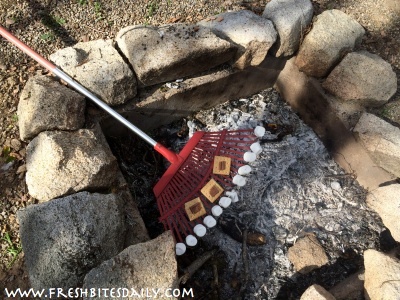 An ingenious way to grill hot dogs or marshmallows is to put them on a leaf rake. Look for an aluminum (non-treated or rubber coated) leaf rake; you probably don’t want to eat toxic material that has melted into your mallows! Then you can pop the marshmallows or hot dogs onto the tongs on the end. Once everything is situated you can hold the contraption over the flame. Your freezer or cooler is your single most important item to protecting all of your perishable and cold foods. It can be a pain to have to constantly buy and replace the ice in the freezer, so we’ve found some great hacks to keep the coldness plentiful without having to buy ice as often. While driving, we like to toss a thick towel over the top of our cooler in the back of the car. This keeps some of the sun and heat off of it that is shining through the windows. You can also keep your items cold without it turning into a soupy mess by pouring your ice into a dry bag and then adding to the freezer. It will melt, but the liquid will stay in the dry bag. You could also freeze food that won’t be used right away, and it will help keep other food cooler. Pack the foods you will use first at the top of the freezer. Remove paper labels so they don’t turn to mush. If you feel like getting fancy, you can drop $1000 or so on an awesome portable camping refrigerator and freezer combo. Most campsites have some form of toilet area; I’ll use toilet loosely. You may end up with a hole in the ground to squat over, or a hole that has a little shelf fixed above it to sit on. There are also some campsites with exceptional restrooms! There are tons of options out there for making or buying an emergency portable toilet. The cheapest option is with a 5 gallon bucket, a pool noodle, a biodegradable bag/bucket liner, a knife or box cutter, and sawdust. 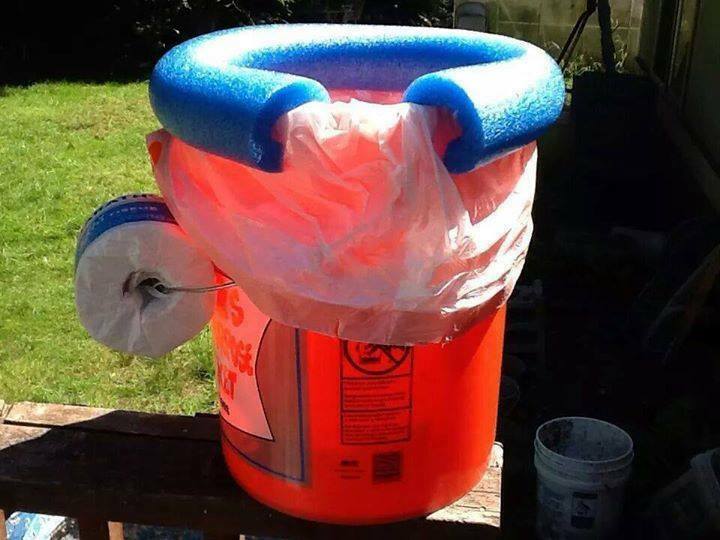 You can also spend a little bit more and buy a bucket emergency toilet sit that will provide a lid for your emergency bucket, in turn, keeping critters out of your business. For an extensive list of emergency toilet options for all types of bottoms, check out this list. Fires are as essential for camping as a tent is. Everyone loves a good fire. 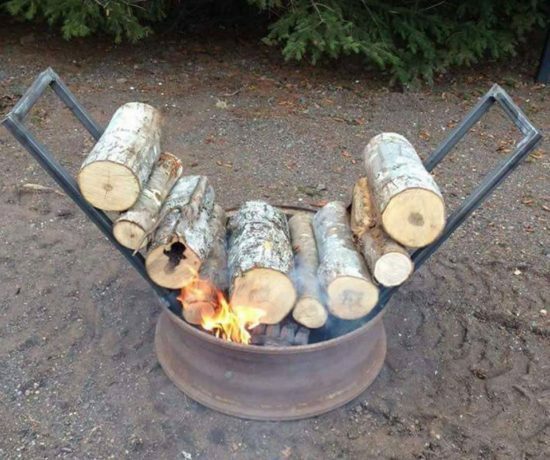 Being able to start a fire efficiently is another thing. Having some form of fire-starter will make your life a little bit easier when it comes to getting that blaze going. There are tons of DIY options for firestarters. Our most used option is to collect lint from the dryer. We keep a small bag hanging on the wall by our dryer and just add lint as we go. When you head out for your camping trip, just grab the lint, and maybe a toilet paper roll and off you go. You can then stuff the lint into the roll and use it as fire starter. 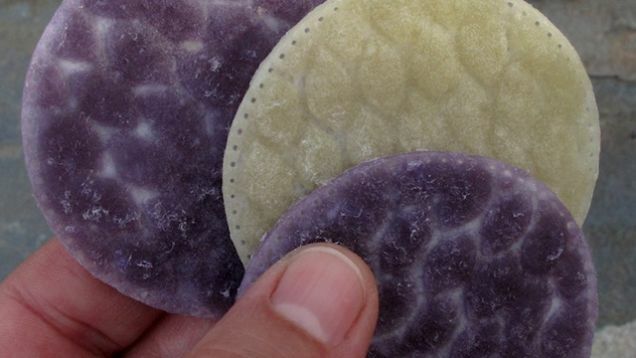 Another option is to dip cotton balls into Vaseline or melted wax. 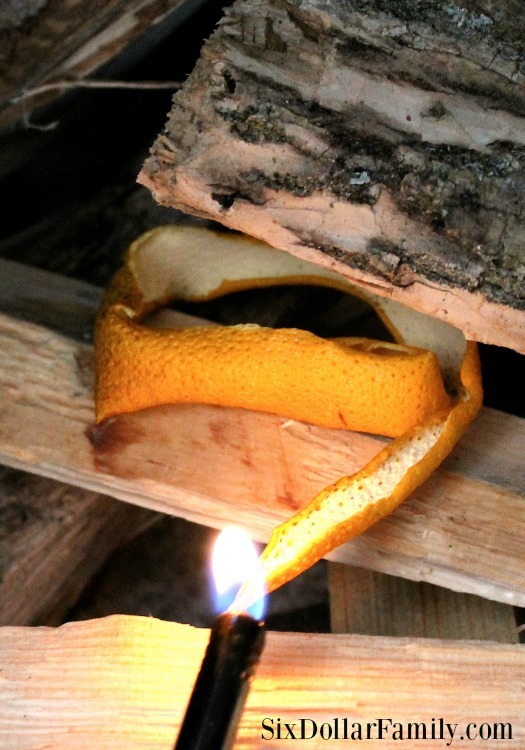 One of my favorite fire starter methods is dried orange peels. It’s so simple, colorful, and smells wonderful. Just dry out the orange peels in the oven, then store them in a paper bag with a silica pack to keep them dry. Voila! There’s nothing like being out in the middle of the wilderness with no access to a place to wash your hands. Baby wipes can only take you so far! Having access to clean water for washing your hands can be the difference between health and illness. This handwashing station is simple, although a tad bulky. And according to this parent, the kids will love washing their hands. That’s a win in my book! 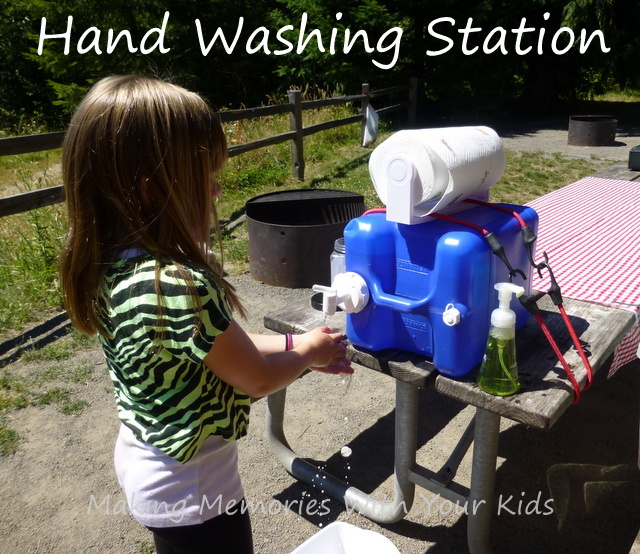 Here is a video on how to build your own DIY hand washing station from the University of Minnesota. A lot of us that camp don’t plan to have a campfire that burns all night. But there are times when this would be a helpful trick to have up your sleeve. Some campers use open front shelters and the fire provides much needed warmth throughout the night, especially in colder regions. T﻿﻿his video shows how to make an all night campfire that requires little to no maintenance. This type of fire is more of a smouldering type fire used for heat. There’s another option for an all night campfire. This idea is the self-feeding campfire. It’s all in how you stack the logs, and the contraption that you set them on. Below is a detailed video on how to make your own self feeding fire. 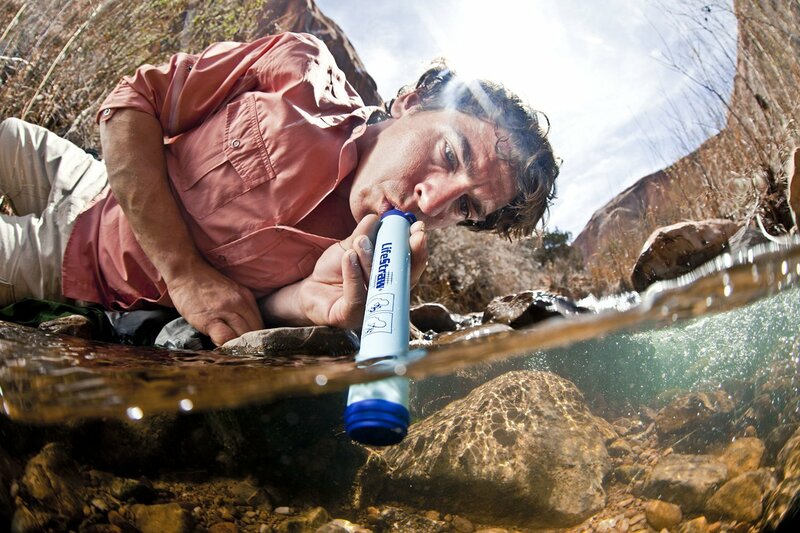 The one item that we have kept in our go bag and camp bag since its inception is the LifeStraw. This little straw can filter a maximum of 1000 liters of water (enough for one person for an entire year!) and removes 99.9% of waterborne bacteria and parasites. It is affordable (check price on amazon), compact, and lightweight making it ideal to toss into a pack. Their motto is “we make contaminated water safe to drink.” You can use this baby to drink out of a dirty puddle, which could save your life if you found yourself in an emergency without access to drinkable water. 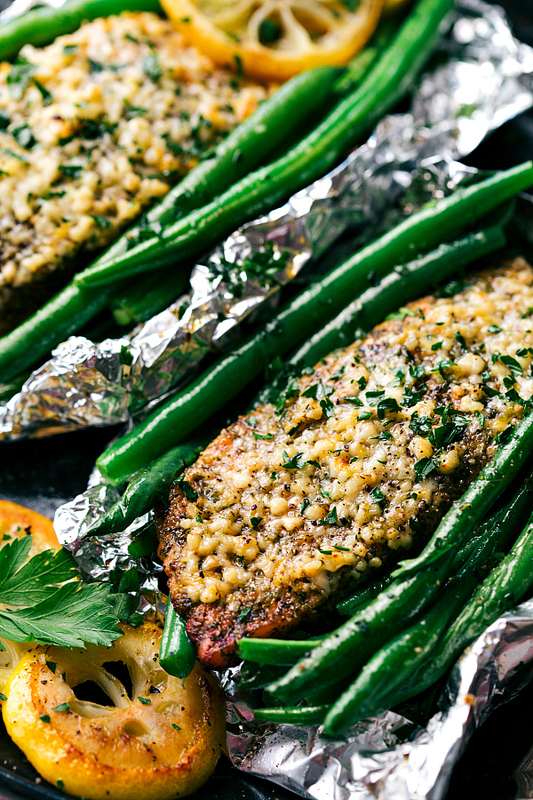 Cooking dinner at a camp site doesn’t have to be plain and flavorless. 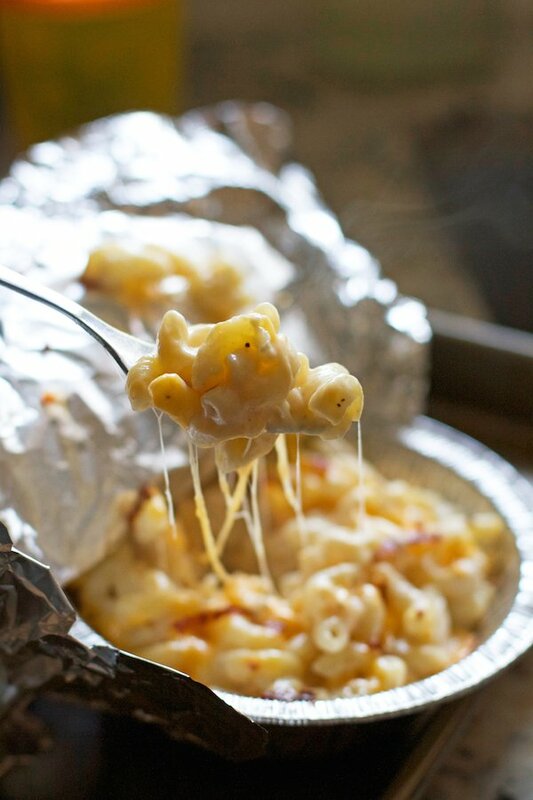 My favorite type of camping meals are tin foil dinners, and there are ideas out there that are delicious and easy. If you are looking for more great advice check out - Love the Outdoors – An Outdoor Guide for Camping, Hiking, Rving and More! 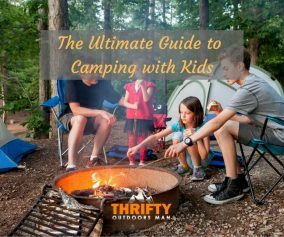 Features campgrounds, gear, tips and articles, checklists, camp cooking tips and camping recipes, campsite safety, state and national parks, camp songs and other related outdoor resources and planning tools! I’m able to create these memories minus the chaos because I will always have the supplies and food that we need, the knowledge to help prevent accidents and recover from mishaps quickly, as well as a reservoir of ideas to pull from to keep each experience unique. What did you think of the list? Is there anything that you have done differently? Please share in the comments! If you liked the article, please share it with your friends. We love camping, and yes doing it on a budget is perfect. We camped while traveling, cheaper to overnight, kids got out to run off that energy that they didn’t burn sitting in the car all day. Precooking parts of meals, putting into zipper bags, freezing them flat, they take up less room, stay frozen in that pile of bags, and thaw faster. Since we where traveling, breakfast I precooked items for breakfast burritos, just had to add a dozen scrambled eggs toss onto tortillas, pinch of cheese and dash of sauce. 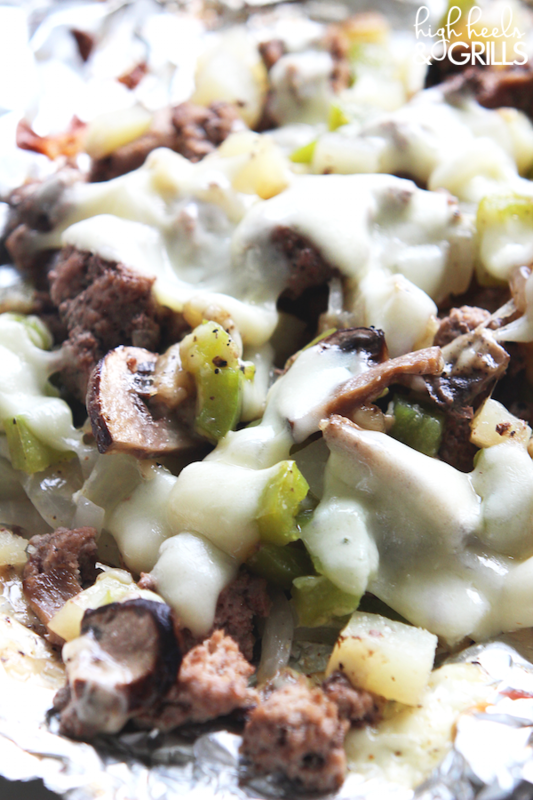 Filling and so much cheaper than going to fast food. Dinners, everything from stews, chili, sloppy joes, roasted chicken with veggies over noodles, you can really do nice meals, precooked you reheat. Yes we did have a night of hot dogs roasted over the fire, and sometimes burgers. If you can fish, Pringles cans are great, light and disposable later if you want to-hold quite a good measure of flour or corn meal for frying those fish. Breads. White sandwich bread gets mashed super easy. Get creative or go fun. I used a lot of medium to hard rolls, bagels, whole loaves of hearty breads and LOTS of Tortillas. Pitas also hold up super well. We always carried games to play, cards, yatzee, and usually a chess board. Family with 4 kids, looked for many low cost fun times. What are the Best Natural Tinders to Start a Fire?